French Barbotine pottery seems to polarise antique pottery enthusiasts – to some it is dramatic and the pinnacle of ceramic art, to others it is clumsy and unelegant. To me it is the former – pure artistic expressionism in clay and glaze. 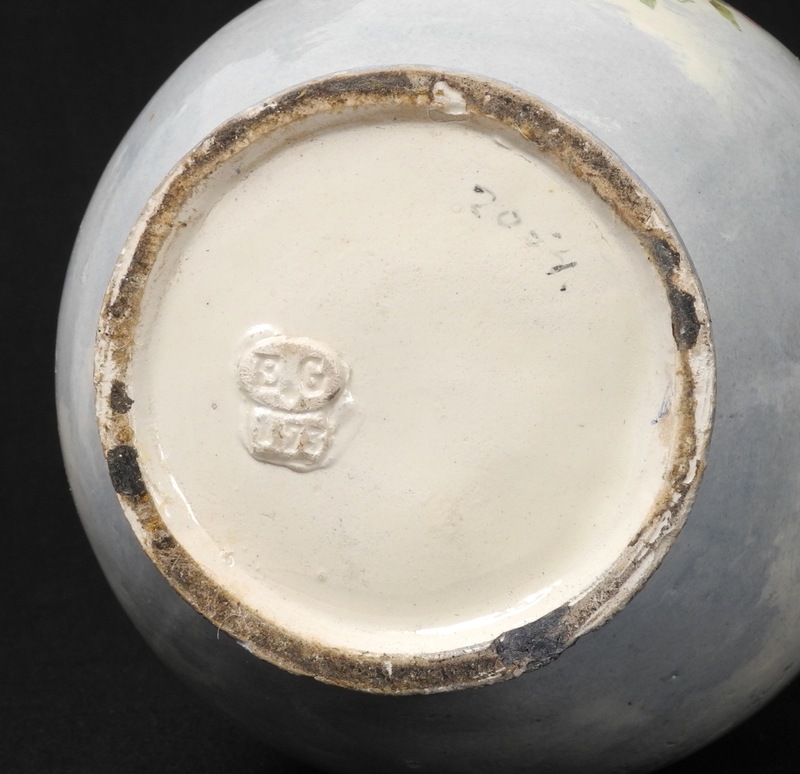 The word ‘barbotine’ in French means quite literally ‘slip’ – when talked about in terms of pottery is means not literally to slip but its name used for the paste like mixture of water and clay which is used in casting and modelling. 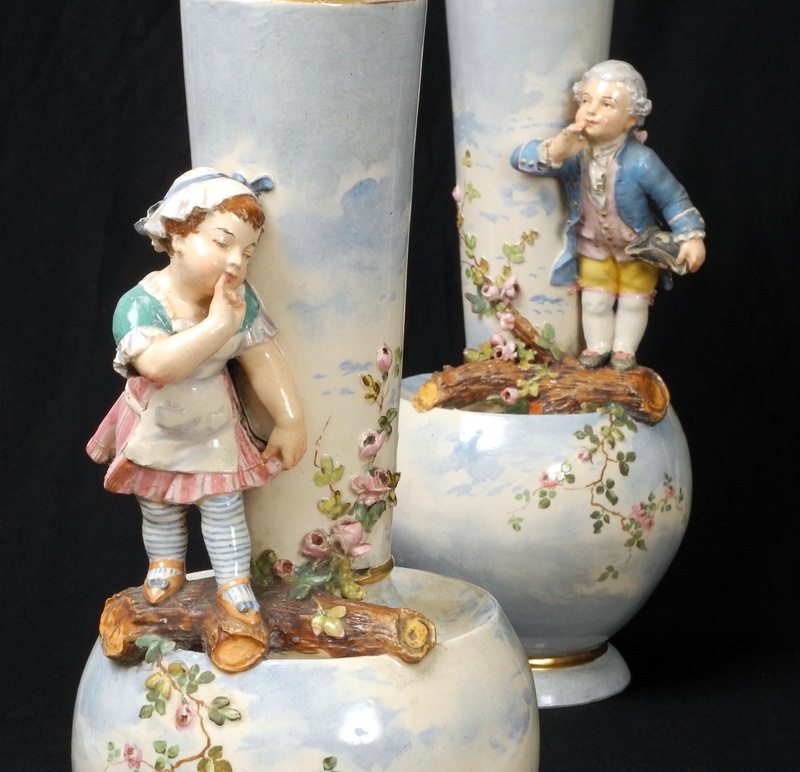 A common technique in Barbotine pottery is to ‘slip cast’ large flowers, berries and sometimes figures and then apply them to the body of the vase to create a dramatic three dimensional effect. Quite often slip will also be used to build up impasto areas of glaze to give greater depth to the decoration; very effective when emulating say moving water or foliage giving a stunning impressionist type finish. Barbotine pottery came to the fore in the last half of the 19th century and a small number of French makers specialised in this style and their work is now highly sought after; the main factories were Haviland Limoges, Montigny Sur Loing, Vallauris and Edouard Gilles. 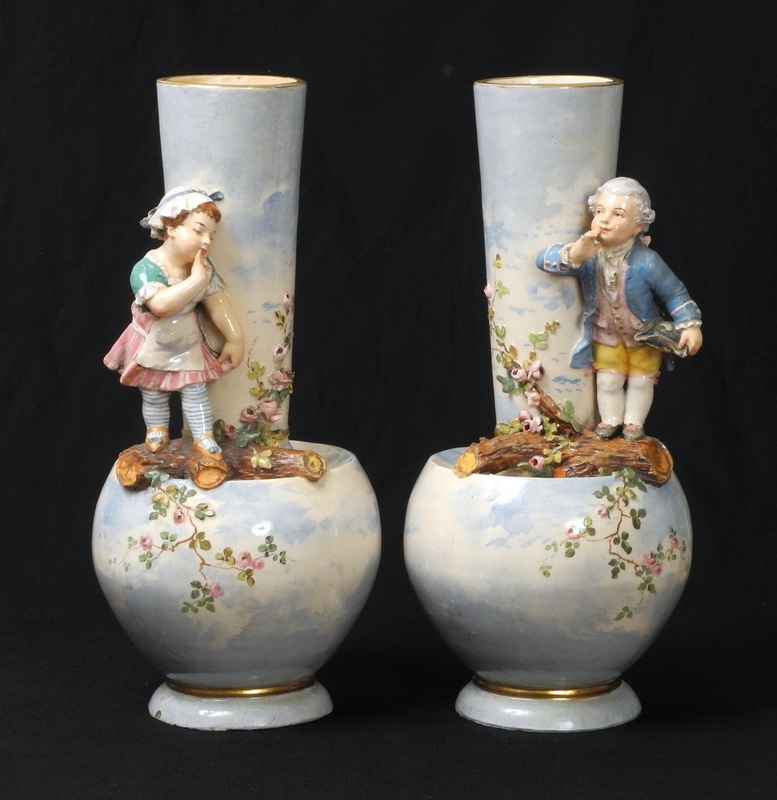 I have just got in a really stunning pair of unusual Edouard Gilles vases so I have included some images below, note the exaggerated slip casting to the figures, contrasting enamels and the loosely painted impressionist style sky surrounding the body, all very typical of this wonderful pottery technique. As I get more pieces in I will upload some more images….